American engineering company Bechtel, ranked #11 on Forbes’ America’s private company list for 2018, announced this week that it opened the Bechtel Mining & Metals Innovation Center in Chile with the goal of developing new technologies that boost productivity, promote environmental sustainability and improve worker safety for the copper industry. 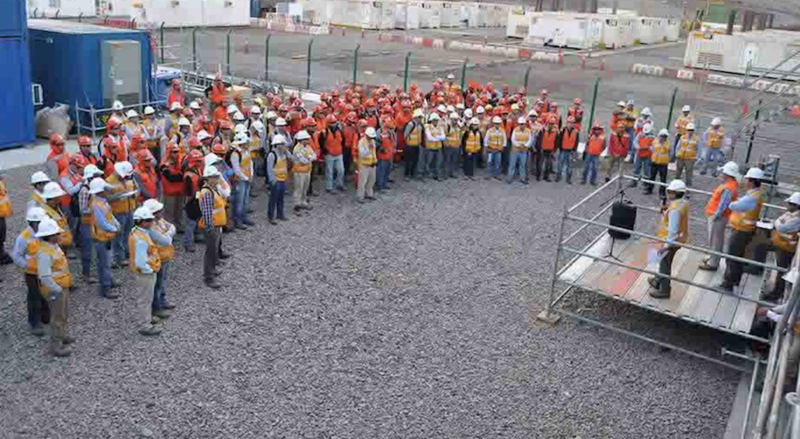 In a press release, Bechtel said that the center, located in Santiago, is the result of an initiative that begun three years ago with the idea of leveraging the company’s construction expertise and copper concentrator design to achieve greater efficiencies in mining projects. The company stated the innovations already developed will enable a step change in construction productivity to deliver safe, high-quality projects faster, at lower cost and reduced risk, and that these innovations are now available to the copper industry. According to Bechtel, one of the main focuses of the unit will be on developing new mechanisms that improve product recovery and decrease water and power consumption. If properly applied, the technologies are expected to reduce miners’ operational costs. In Chile, the Virginia-based firm was in charge of BHP Billiton’s Escondida mine water desalination plant. The 2,500-l/s plant was finished at a cost of $3.4 million. It included two 42 pipelines to transport seawater 3,200 meters above sea level from the Port of Antofagasta, four high-pressure pumping stations, a reservoir at the mine and high-voltage electricity infrastructure to operate the system. Escondida is the world’s largest copper mine.